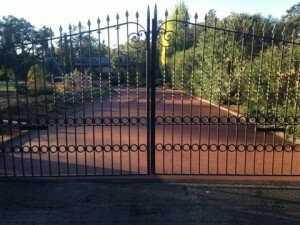 Asphalt Stamping | Pimentel Paving Inc.
provides a stylish look that greatly enhances the personality of your property. 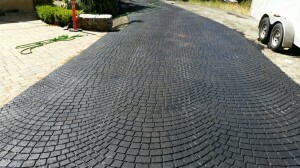 Asphalt stamping is a good paving option that provides a flexible, continuous surface that minimizes the problems inherent to seamed surfaces, such as shifting and weed growth. At Pimentel Paving Inc. we use advanced technologies such as asphalt infrared reheating, which enables us to reheat and stamp many pre-existing asphalt surfaces. Did you know that asphalt is 100% recyclable and can be recycled for its own use? At Pimentel Paving Inc. our practices support recycling asphalt and reusing existing asphalt. Plus, many of our coatings meet Leadership in Energy and Environmental Design (LEED®) standards, which outline sustainable approaches for cooling urban landscapes to reduce the heat island effect. By observing these guidelines your project can earn LEED® credits. See the Asphalt Stamping and StreetBond sections of our site and Projects Gallery for photos of beautiful stamping projects. there are more than two dozen shades that qualify for LEED credits. 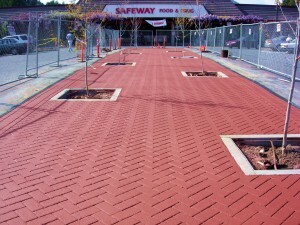 We are the only accredited Asphalt Stamping installer in the North Bay area accredited by StreetPrint, the industry leader in decorative and patterned paving products. 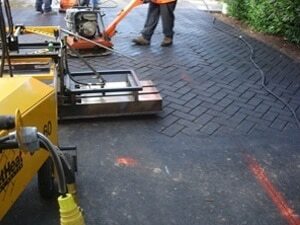 Let us answer your questions and provide more information about our custom asphalt stamping services.